While RIM continues to try to reconcile its finances, the troubled mobile manufacturer's latest strategy may help tip its bankbook in a more favorable direction. By targeting emerging markets with a budget friendly product line, RIM may be able to gain enough momentum to hold things together until the release of its BlackBerry 10 OS and a more permanent financial solution is reached. The company will launch a barebones BlackBerry Curve 9220 in India on Thursday at a price of 10,990 rupees ($210 U.S.) and has a similar release set to follow in Indonesia. RIM's aggressive move abroad is a sound idea, but only time will tell how receptive these growing regions will be to its low-end offerings. It's definitely good to see the company thinking outside of the box, which is something that will hopefully help this one time power player regain some of its lost ground in the battle for wireless supremacy. India – Research In Motion (RIM) (NASDAQ: RIMM; TSX: RIM) today announced its most affordable BlackBerry® 7 smartphone for customers in India. 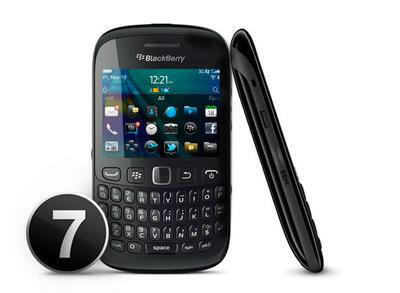 The new BlackBerry® Curve™ 9220 smartphone offers all the market-leading BlackBerry messaging and social-centric features that people love in India. Designed to be easy to use and easy to own, this compact and sleek smartphone provides many conveniences and applications to help keep users connected to the people and information that matter most to them. It also offers the longest lasting battery life yet in a BlackBerry Curve model, allowing users to make the most of their day. "India is a very important market for RIM and we are extremely proud and excited to officially unveil and launch the new BlackBerry Curve 9220 for the first time here in India," said Carlo Chiarello, SVP, Smartphone Business at Research In Motion. "The new BlackBerry Curve 9220 offers a unique mobile experience that young Indians will love thanks to its affordable pricing and unmatched messaging and social connectivity features," said Sunil Dutt, Managing Director for India at RIM. The BlackBerry Curve 9220 has everything a user needs to stay socially connected throughout the day. It even features a dedicated BBM™ key, bringing the power of RIM's popular mobile social network up in an instant. The Facebook® for BlackBerry and Twitter® for BlackBerry apps are included as well as Social Feeds, which allows users to post updates to multiple social applications simultaneously and capture updates from news sources (RSS), social apps and instant messaging apps all in one consolidated view. BlackBerry® 7.1 OS supports the full complement of BlackBerry services and the smartphone's built in Wi-Fi® can provide smooth and fast Internet browsing without incurring mobile data usage costs. It also includes a built-in FM radio, allowing users to tune into their favorite local stations, and listening to the FM radio does not require a data plan or use data services. The user experience with this compact and sleek smartphone is further enhanced with a long lasting battery, giving users up to 7 hours of talk time or up to 28 hours of music playback or FM radio listening on headphones. As part of the launch in India, BlackBerry Curve 9220 customers can download a selection of apps from BlackBerry App World worth 2500 Rupees, for free*. The offer is valid until June 30, 2012 and includes a wide range of apps that will roll out in a phased manner, including utilities, games and other apps. Pencil Camera, Photo Studio Pro, Horoscope Oracle – Follow Your Lucky Stars, Drive Safely Pro and Ultimate Cricket are just a few of the popular apps that will be available through this promotional offer. * Separate data charges may apply for users on limited data plans.